Finally, I’m returning to reviews (even though I read this over a month ago, I’ve only had time to finish it this morning! ), as life begins to return to normal for me. This is probably the Booker Long-listed novel I was most excited about when the list was announced, but it took me a long time to actually track it down. I’m not entirely sure why, but I tend to be drawn to reading books with either Jewish authors or subjects (as you may have noticed in my year of 100 books!). The Marrying of Chani Kaufmann depicts the run up to, and immediate aftermath of the wedding of two Ultra-Orthodox twenty-somethings and the struggles they go through both personally and culturally (or more often both). As someone who has no real familiarity with the world of the Ultra-Orthodox Jewish communities of North-West London, I can’t really pass comment on how realistic a portrayal it is, and I have to simply trust to Harris’ own interaction with that world. However with this in mind, I do think that she did a wonderful job of humanising a people who most who non-members tend to find difficult to imagine being part of. From Avromi’s adolescent mistakes, to his parent’s deteriorating marriage and the differences between Chani and Baruch’s families, Harris makes all too clear that despite the fact they have a very different way of life, Charedi Jews are still people with all the same concerns and problems that most Londoners have. She also explains, through the method of Chani’s marriage preparation lessons, the religious context for some of the aspects of the religion non-members have issues with; the ritual impurity of menstruation for example, or the wearing of the Shtetl (hair coverings for married woman). If I have any criticisms about the book, it’s just that sometimes the time frame is a little confusing. Each chapter is headed with the name of the characters it’s most closely related to, and the year it takes place. Those that take place in the Rebbitzen’s past are straightforward enough, but the problem is when reading about the present, or the recent past. The actual Kaufman-Levy marriage takes place in 2008, at which point the book opens and there are occasional returns to that day, but most of the book takes place before it. Thus it becomes a little hard to tell exactly when in 2008 the chapter is occurring, meaning the timeline appears perhaps a little more fluid than Harris had intended. The only other issue I have is that the glossary, which explains a lot of the Yiddish or Hebrew terms that are used throughout the book, is slotted in almost as an afterthought at the end, with no warning or indication that it’s there. Most of the terms I was able to figure out, either through prior knowledge or context, but it would have been nice to have known it was there before I was three-quarters of the way through the book. 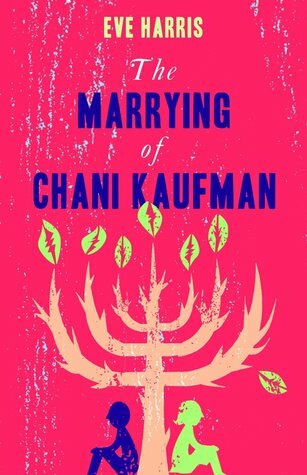 Of the non-Short-listed books I’ve read from the Booker Long-list, I think The Marrying of Chani Kaufmann is definitely the one that I think deserved to take Five Star Billionaire’s place in the final six. I don’t think it would have been strong enough to win (although I still have yet to track down a copy of The Luminaries. Sigh…), but I do think that it’s one of the most enjoyable and easy to read book on the Long-list, as well as being just a good bit of heart-warming story telling. 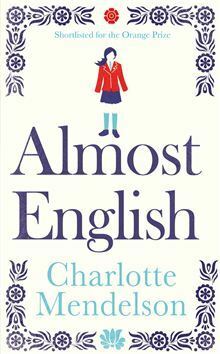 Almost English was Longlisted for the Booker Prize, but didn’t make the short list, and frankly I’m glad of that. In fact, I’m not convinced it deserved being nominated at all, as it’s easily the least enjoyable of the nominees I have read. Set in 1980s London, the overall point of the story is to show the struggle of the protagonist, Marina, at presenting herself as a normal English girl and concealing the truth of her identity, that she is actually half Hungarian and lives with her very out of touch grandmother and great aunts. I’m rather frustrated that possibly the two biggest news stories in the literary world happened at practically the same time, at a time I’m unable to get online to comment on the results. Nonetheless, I’m going to weigh-in (rather belatedly I admit) with my thoughts on the winners. 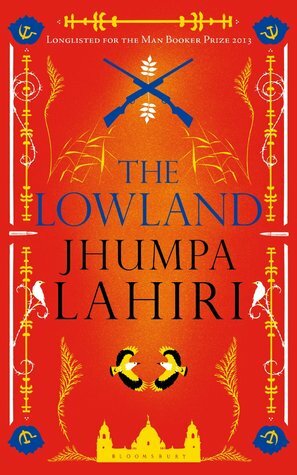 The year comes to a close, with my final book, The Lowland by Jhumpa Lahiri. Shortlisted for the Booker Prize, the books tells the story of Subhash Mitri, a young man from a suburb of Calcutta born in the closing years of World War Two, and of his family, focusing on his younger brother Udayan, his wife Gauri, and his daughter Bela. Spanning almost seven decades the book, the Mitri’s lives are not jam packed with excitement, but they are just like any lives, traumatic and tolerable in turns with occasional glimpses of joy. Fittingly, since it is on the shortlist for this year’s Man Booker Prize, A Tale for the Time Being, is, I think, one of the most egregious examples of the ‘pretentious award baiting novel’ stereotype I’ve ever read. 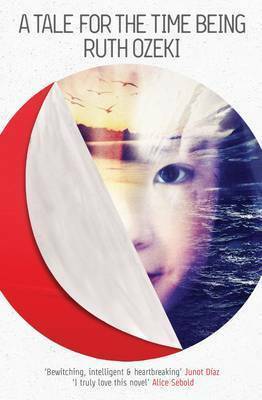 A non-linear narrative, appendices, a narrator who’s a fictionalised version of the author, discovery of a hidden treasure that may have been related to a recent tragedy (in this instance the Fukushima earthquake and the resulting tsunami), religion and philosophy, death, and a rather uncomfortable sexual encounter. Despite all of this, it’s a distinctly average book. There are some good aspects, but in general the story was quite boring and the execution made it hard to become invested. 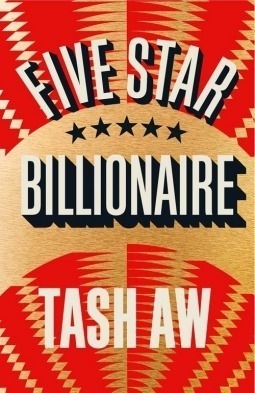 The last of the Booker long-listed novels I finished before the short-list was announced, I think Tash Aw’s Five Star Billionaire is definitely the weakest of the nominated books I’ve read. In contrast to We Need New Names, which was hard to read because of the content, this was hard to read because it was just so uninspiring. 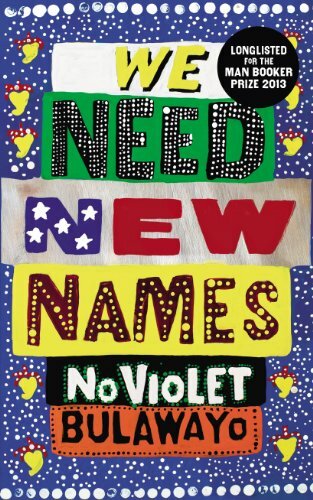 Where do I begin with We Need New Names? As I mentioned yesterday, I have a lot of issues with the book. I think it’s possibly the hardest book I’ve ever read, not because the prose is particularly difficult, but because of the subject matter. The Booker committee obviously felt it was a good book, but I think it’s a good example of the fact that good does not always equal enjoyable or nice.